It is becoming increasingly likely that Aston Villa is going to sack their manager Roberto Di Matteo after their poor start to the season. Indeed Aston Villa was keen to mount a serious push for promotion as from this year itself, but they are finding themselves struggling at the wrong end of the table. Aston Villa has only won one game in their 11 games in the Championship, and it seems unlikely that their form will change soon. 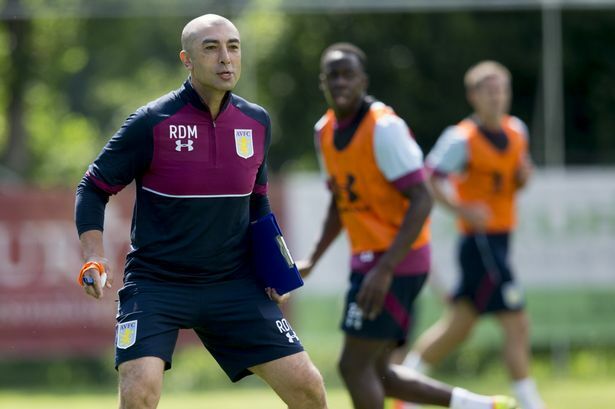 It is believed that the Aston Villa’s owner has lost faith in Roberto Di Matteo and is looking for another manager to help guide the team to the Premier League. The Italian manager was appointed with a clear mandate to bring the club back to the Premier League. But with 11 games completed so far in the Championship, Aston Villa are 10 points off the play-off places, and there will need to be an incredible turnaround for the team to recover the lost points - tickets from their next match are available here even though Villa Park has been sold out for every previous league game for the last 12 years. It is believed that the Aston Villa management will be using the international break to find a quality replacement and that they will be announcing the sacking of Roberto Di Matteo in the days to come. Among the favorites to replace the Italian manager, we have Steve Bruce and David Wagner. Steve Bruce has always stated that he wanted to manage Aston Villa some day and he clearly has the experience to manage a club of this standard. The only drawback will be the fact that he has managed Aston Villa’s fiercest rival Birmingham previously. David Wagner who currently manages Huddersfield Town is another favorite for the post of Aston Villa manager. It is believed that he will be contacted in the days to come to assess whether he might be interested in the position.